The OMCDetect error is generally appears because of an inappropriately registered DLL file, this file is one of the important file that OverDrive’s desktop app needs to work without any error. You can fix this error by the use of below given solutions, both manual and automatic method is given which is capable to get rid of OMCDetect error and make OverDrive error free. Sometime because of inappropriate installation of OverDrive such type of error may occurs, so to verify it reinstallation process is necessary. To do this apply the below given steps carefully. For Windows 8: Navigate toStart screen and type Programs and features and hit Enter. Windows 7 or Vista: Click on the Startmenu and then type Add or remove programs and hit Enter. From the list of installed application, uninstall OverDrive for Windows (or OverDrive Media Console). Downloada fresh copy of this application and install OverDrive for Windows again. The above given solution is able to fix this issue, if this error still present then don’t worry and go with the below given steps. This solution contains disabling of UAC (User Account Control) because occasionally UAC settings can hinder with how certain DLL files execute. And it is clear that damaged “OMCDetect.DLL” file doesn’t allow OverDrive for Windows to work properly. NOTE: Without disabling UAC this issue cannot be resolved. Clickon the Start. Type msconfig and hit Enter. Go to the Toolstab to modify the UAC settings. For Windows 8: Open Start screen, typeUser Account Control. For Windows 7: Clickon the modify UAC Settings, then open. 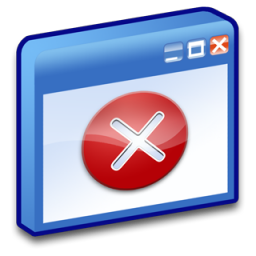 For Windows Vista: Click on theDisable UAC, then Launch. Windows 7 and 8: Click and drag down the slider toNever notify. Click OK.
After it Clickon the OK to save UAC setting. Confirm that whether you have a “32-bit” or “64-bit” operating system. Open Start screen or Start menu, and typecmd. Right-click on exe, then choose Run as administratorto open the command prompt. According to your operating system apply one of the below given commands. Note: Type the command as it is given because commands are not case sensitive. For 64-bit systems, typecd C:\Program Files (x86)\OverDrive for Windows. Then hit Enter. For 32-bit systems, typecd C:\Program Files\OverDrive for Windows. Then hit Enter. Typeexe omcdetect.dll, and hit Enter key. Click onOK in the “RegSvr32” dialog window. Now exit from the Window, typeexit in the command prompt and hit Enter. It is hoped that now you can use OverDrive without any error, I know above given manual method is difficult to apply for the manual method. For normal user there is an automatic way to get rid of OMCDetect error. If you are unable to apply manual method then you should download OMCDetect error repair tool. This software will allow you to fix this and any other error without need of doing anything manually, it is packed with lots of features. Through this way one can easily fix any types of Windows DLL and registry issue with ease. So download this professional Windows repair tool and make your PC/laptop error free.